So Functional! So Fun! So Fabulous! The thin and durable storage case is convenient and functional. The frame is durable and snaps into the storage case. The frame fits comfortably on your nose without slipping. 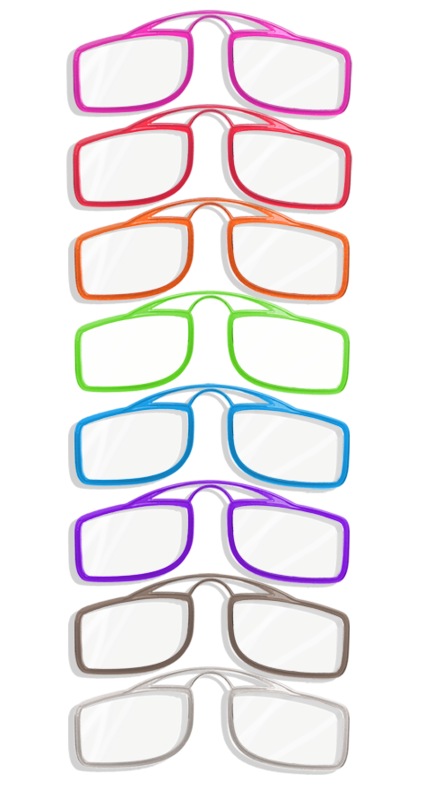 The non-prescription lens give full visibility - as much as full size glasses. 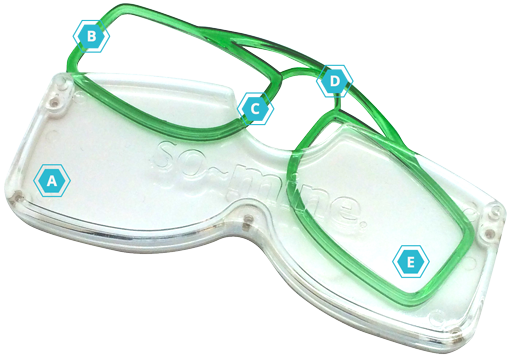 The flexible bridge design allows the glasses to fit any shape or size nose. Attach to your mobile phone cover with adhesive tape included. Keep on your key ring and they're always handy. Adhesive tape and key ring included in package. WHAT are Glasses on the Go? WHY Glasses on the Go? WHEN to use Glasses on the Go? 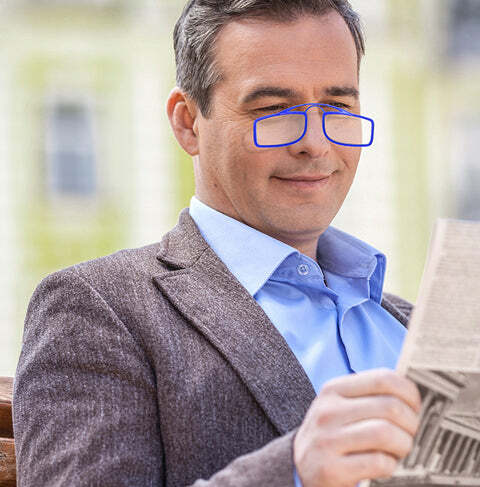 Use Glasses on the Go whenever you need non-prescription reading glasses. There are two strengths to chose from (+1.50, +2.50). Here are just a handful of ways you can use them: read messages on your phone, read a menu or sign a check in a restaurant, read food labels in grocery store, read a price label while shopping. 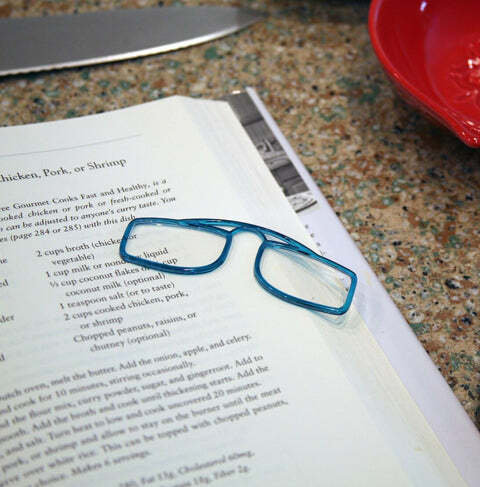 The times and places you will use your Glasses to Go is limitless. WHERE to keep Glasses on the Go? The slim design allows them to go everywhere you go. Keep Glasses on the Go attached to your keys, on the back of your mobile phone, inside a journal or your wallet. You can easily keep a pair in your car or in your purse. 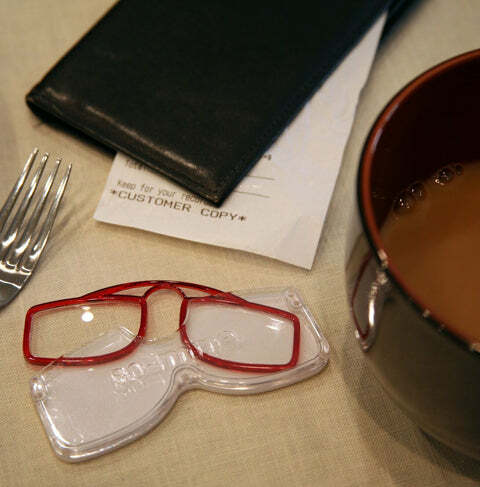 A key ring and adhesive tape are included with every pair of Glasses to Go. Get the strength that’s right for YOU!